In a bid to make workplaces safer, a tripartite committee has proposed ways to get tougher on companies that have a poor safety and health record. This includes a preliminary recommendation for government agencies to standardise their procurement criteria, used to track and disqualify errant contractors from public-sector projects. 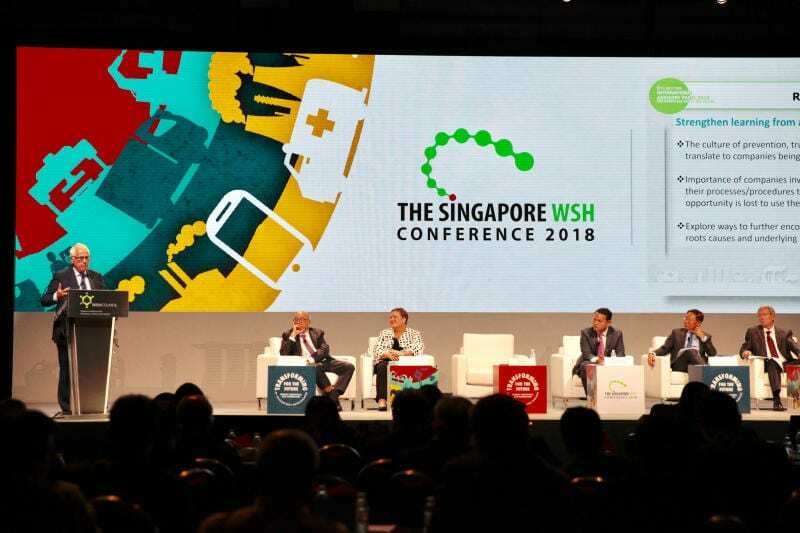 The Tripartite Strategy Committee, whose suggestions were unveiled yesterday at the Singapore Workplace Safety and Health (WSH) Conference 2018, was set up to boost workplace safety here over the next decade. The committee said the Ministry of Manpower (MOM) should allow greater transparency when it comes to businesses’ safety performance, to help other firms decide who to procure services or products from. It also said MOM should facilitate differentiated work injury insurance premiums for companies based on their track records by sharing past accident records and claims with insurers. The ministry should also develop a code of practice outlining company directors’ WSH duties. Such moves can incentivise firms to boost workplace safety, the committee noted. Yesterday, the committee also accepted feedback from an international advisory panel on its recommendations, and is set to finalise its strategy by February next year. The committee’s proposals extended to workers’ health as well. For example, to help prevent illnesses caused by the work environment, it proposed that MOM expand its list of 40 reportable occupational diseases. It also suggested more support for firms in adopting health promotion initiatives. This comes as the prevalence of chronic diseases is expected to rise due to sedentary work and an ageing population. There were about 60 deaths a year on average in the past few years – as a result of heart attacks and strokes – possibly contributed to by strenuous activity at work, said MOM. Finally, the committee made a third set of recommendations promoting the use of technology in areas such as improving training standards. Noting that the next 10-year road map aims to foster a culture of prevention, the international advisory panel highlighted the need for companies to do their own investigations on cases of “near-misses” to address gaps in their procedures. Recognising the rising number of freelancers worldwide, it suggested the committee factor in such growth here as well, ensuring that the responsibility for freelancers’ workplace safety and health remains with those who employ them. These employers should receive guidance on how they discharge their duties as well. “By 2028, we aspire to reduce the workplace fatality rate to less than one per 100,000 employed persons on a sustained basis,” Minister of State for Manpower Zaqy Mohamad said at the conference in Suntec Singapore. Only four countries, including Germany and Sweden, have done this with consistency.